Thirty four years ago I was trying to ‘expose’ what had then been in effect for eighteen years. However there was no internet and hard evidence was nearly impossible to get. Davos was largely unknown to most people. But for those of us that were actively trying to understand what the whole world can now clearly see: The evidence for the petrification of the US and the global-scene in The Citadel of Broken Dreams above had only just begun. 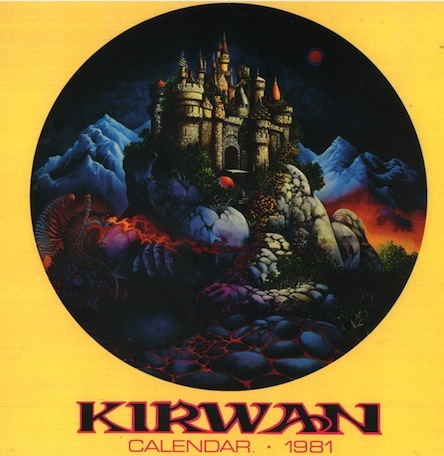 The calendar was distributed internationally, but the public didn’t pick up on the political setting. The ‘rage & outrage’ were symbolized then in that lone dragon on the far left, but with recent revelations that dragon has continued to grow. The turning to stone of the global population by the filthy rich was clear by 1980-81 when Reagan took over as the U.S. puppeteer for the global Elite’s. But in just the last few days a great deal more of that missing ‘evidence’ has just spilled over onto the global stage. There is now far more than just ‘ample and condemning evidence’ which proves beyond any doubt that the United States of Israel (USI) has been more than just “hard at work” to enslave the planet as their answer to the global terror that they have been busy constructing, even before Israel became ‘a state’. With the amount of treasure that’s gone into this global Warrior Class, you might wonder why the entire world still has not been able to hinder ISIS-ISIL as they continue to go wherever they choose to: Yet this illegal US-Israeli military dreadnaught has been literally powerless against them for almost a year now. Once you become aware of the massive amounts of money and criminal-overrides of all the laws both internationally and in the US, that have been shredded but which could have prevented this global warrior mentality from being able to make this global attack upon the planet possible: If this had been understood then, then the last fifteen years could not have been used and abused to enslave whatever remains of humanity. Since 1948, there has been 67 uninterrupted years of lies that have masked the rise of the criminal-state of Israel. The creation of that ‘state’, which was supposed to mark the “creation” of Israel, was founded in the lies that have brought the world unending war: Not just in the Middle East but across the planet, the latest chapter of which is taking place in Ukraine as we speak. Israel was supposed to have been the Zionist State of Israel, and it would have been named that way if it had not been for Harry Truman. Here’s that full story from the beginning with what Truman actually did at the time that Israel was ‘created”. It’s fascinating that despite those 67 years, Israel has not been able to “win” any wars outside its theoretical borders, which they still refuse to set. 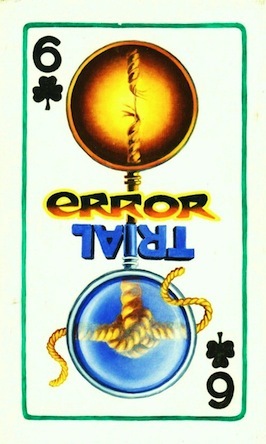 This situation was protected from “exposure” in the United States by the massive and illegal Israeli funded groups that have used most of those 67 years of lies to create a completely protected illegal empire which now controls the entire US government; as well as the banks and the money thru the Federal Reserve. 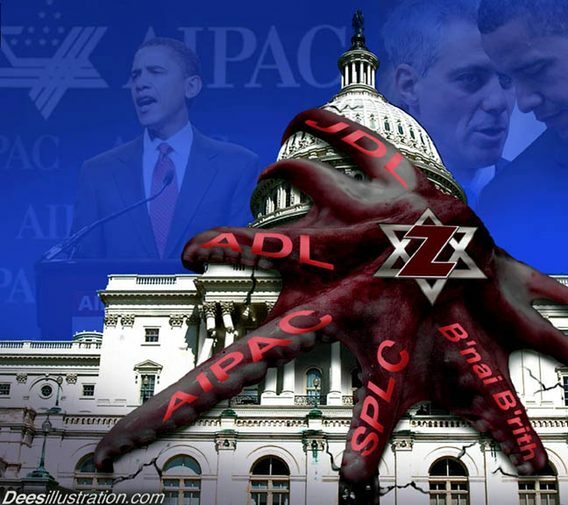 By controlling all the money and the Media, which Israel has been savagely using to destroy what remains of the corpse of the United States: These political groups do this every day in broad daylight, with absolutely no complaints from Amerikans. In Europe the Jews are finally having to deal with a resisting public that is beginning to wonder why the Jews who live among them need to be protected from the local populations: Especially when the locals don’t feel the same need to protect themselves from each other. Maybe the fault that the Jews need to address is in the policies they have maintained for decades which is finally beginning to be exposed around the world, for what they really are? The rest of us must not forget that these directors of the New World Disorder have conscripted the UN, NATO and the Fourth Reich, to try to force the adoption of AGENDA 21 and the PC globalization of what remains of the world; even as they are destroying their last group of willing victims that were known to the world as the EU. All of that plus the illegal sanctions have not yielded the results that say they’ve planned for—everywhere. Russia, China and the BRICKS nations have proven the farce of the illegal policies of SANCTIONED isolation. The expense of retaining and expanding the sheer volume of the number and types of forces which Israel & USI continue to create is literally killing the planet; while they continue to fail in their efforts to take down what remains of the world. The numbers in the second article above quite literally will boggle the minds of anyone who reads about the scope and expense of maintaining this fake-global watchdog that no one besides Israel and USI continues to demand. What’s happening with Obamanation’s second and totally illegal domestic army which he has ordered, to wipe out all resistance from the public in America; is insufficient in number, scope or reach to take on the entire nation: That’s the only reason why they’ve still not dared to take on the quietly waiting dragons of our discontent on the streets and highways of this now dead nation: Once the traitors do that, then there will be no going back and that’s still a risk: The one RISK which they cannot take because they know how fallible they still are to an actually aroused public: Despite what they are publicly claiming that they can and will do to us all—one day. What waits for us tomorrow? Life on this planet is not very long for anyone any more. None of us gets to spend much more than what seems like a few eye blinks before time runs out, even without the world-wide disorder trying to speed up that process immeasurably. Another aspect of our lives is that no empire which has gone as far down that road as has the USA and most of the Western world, at the moment ­ has ever come back from the brink: Because every one of those previous Empires always failed in the end. Wouldn’t it be absolutely fantastic if we could find a way to pull back from that crumbling edge which has surrounded far too many of us now? Nature and the world itself is a living organism, just as people are sentient thinking human beings. The spirit of humanity is a living breathing reality, regardless of what the Disunited World Order wants to believe. While the human race may well be ended entirely by this situation, the planet will continue so long as there’s a sun to shine its light on whatever ruin we might turn this place into ~ Maybe it’s time to listen to Nature again as she lays out the terms of our existence on this little blue orb, one more time?